Over the past few months we have been “re-mixing” our home, implementing various updates since a complete kitchen remodel just was not an option. We realized that small changes often make a huge difference! We still have a ways to go. Our kitchen was pretty boring and monochromatic with every shade of brown. Plus the laminate just looked outdated. 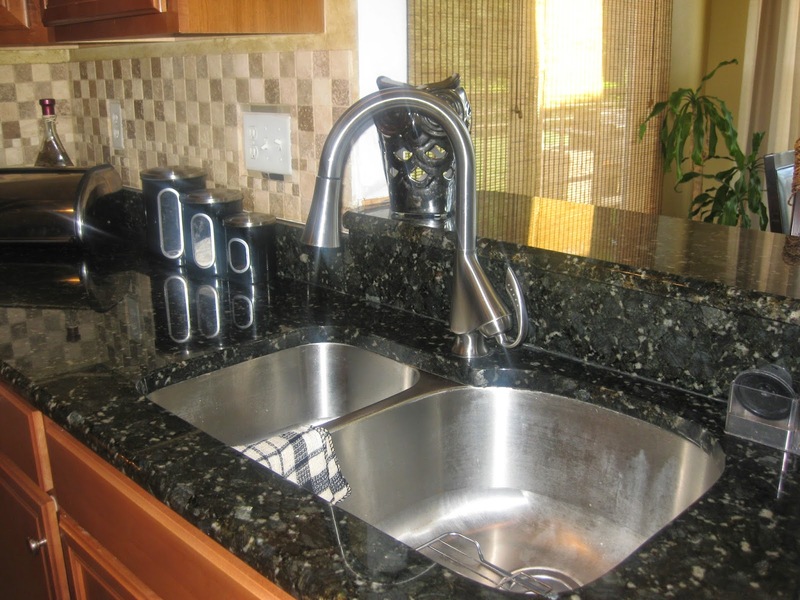 We made one splurge that was necessary, by replacing our laminate with granite and upgrading our sink. The rest of our changes were all under $100. 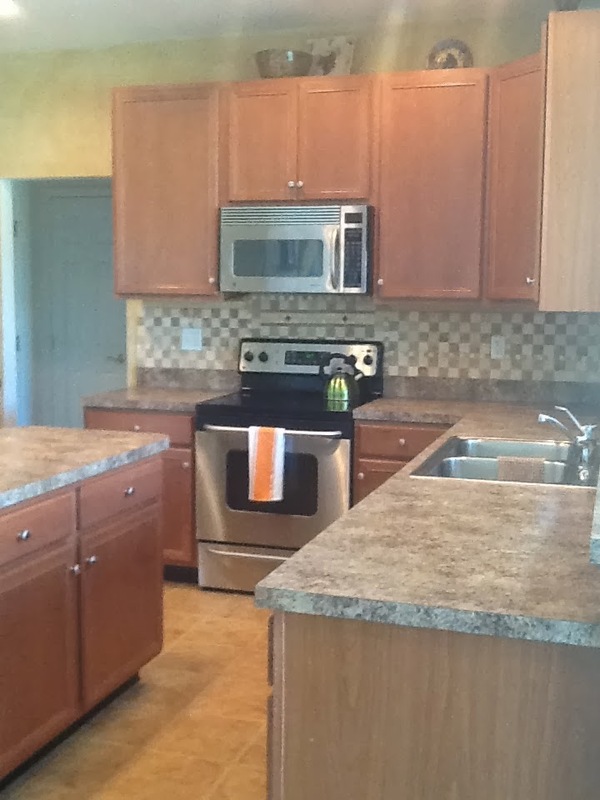 In choosing a color, we decided a contrast is just what our kitchen re-mix needed. We ultimately chose “Butterfly Verde." 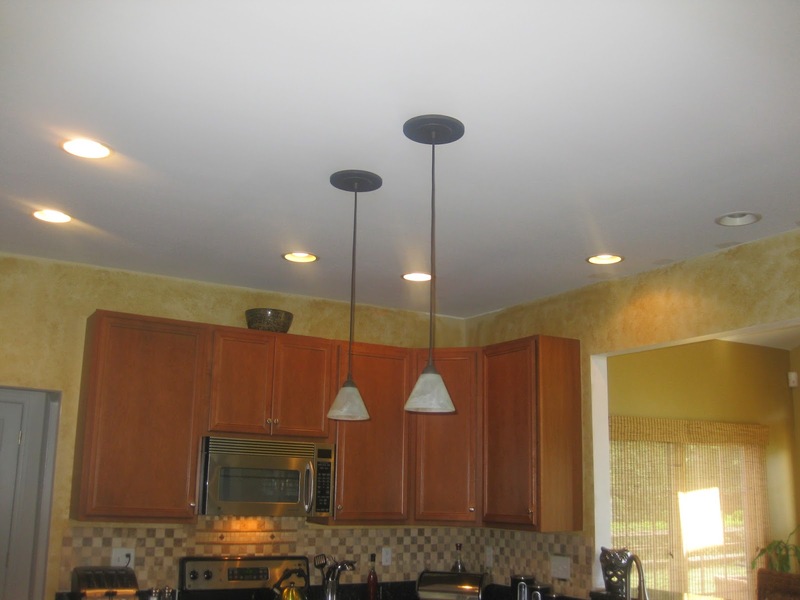 Our next update was to do something about those recessed lights that cluttered our kitchen ceiling. We really wanted pendant lighting over our kitchen island, we just never got around to hiring an electrician to install them. So we tried these “recessed lighting conversion kits.” $99 each from Lowes. There was quite a collection of globe options and various pendants to choose from. We bought two options. My darling husband installed these in no time, five minutes each! The only issue was making sure they were leveled. This was a great way to see quick results when upgrading our kitchen. We have a few more tricks up our sleeves and will share them once the next project begins. I hope these changes can inspire you! 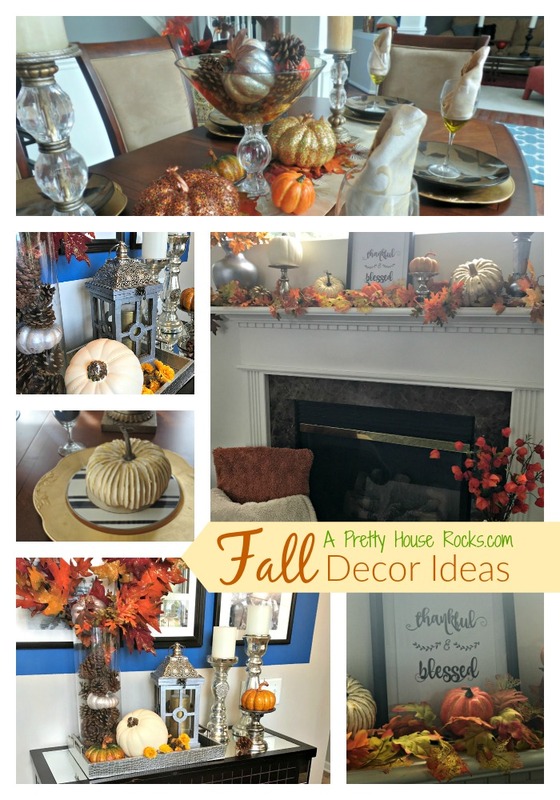 truly believe that a pretty house rocks! Thanks so much for visiting!